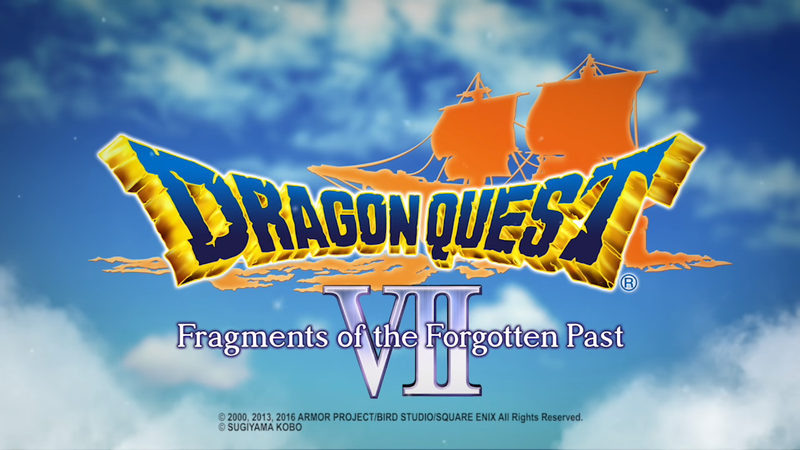 The long awaited localization of Dragon Quest VII: Fragments of the Forgotten Past arrives on North American and European shores September 16th 2016. A remake of the original PlayStation title, Dragon Quest VII boasts a complete retelling of the story and full 3D visuals. Travel back and forth in time and unlock over 30 vocations (think Jobs) for your party to master. You’ll also be able to use the 3DS’s StreetPass functionality to send traveler’s tablets to your friends, which you yourself can use to explore dungeons that contain rare monsters and equipment. Posted in Dragon Quest, E3 2016. Besides FF XV this is my most anticipated game this year and I cant believe it releases just 2 weeks ahead of XV. Praise be to the goddess.